A man described as ‘dangerous and depraved’ has had his human rights breached by prison authorities who opened his mail. Anger has greeted the judge’s ruling that ‘Limbs in the Loch’ killer William Beggs had his human rights breached by the authorities. Beggs, who is a former pupil of Seagoe Primary School and Portadown College, complained that his mail from the UK Information Commissioner’s Office was opened while he was a prisoner in HMP Glenochil, while other confidential mail addressed to him was also opened in HMP Edinburgh. Beggs - who was described as “a victim” by the judge - also complained of delays in receiving confidential mail. Scottish Conservative justice spokeswoman Margaret Mitchell said, “There are serious questions to be asked about how this case progressed to the stage it was heard in court. “What is not in doubt is that the public will be appalled and outraged that William Beggs, who is a dangerous and depraved individual, is now being described as a ‘victim’. “Worse still, public money will almost certainly have been used to pay for his legal aid bill in taking this case to court. Beggs was jailed in 2001 for the murder of Barry Wallace, who vanished in December, 1999, after a Christmas night out with colleagues in his home town of Kilmarnock. Shortly after the crime, Beggs fled to the Netherlands. After lengthy extradition proceedings, he was ordered in January 2001 to be returned to Scotland and face trial. A jury found that Beggs took the teenager to his flat and subjected him to a serious sexual assault. He then murdered him and cut up his body. Beggs was jailed for life and ordered to spend at least 20 years behind bars. In the latest case his lawyer argued that his human rights had been breached by the opening of his confidential correspondence and by delay in delivery of his correspondence. The incidents happened between January 2013 and January 2015. In a Court of Session judgment, Lady Stacey ruled that his human rights had been breached, although she made “no finding that anything was done deliberately or maliciously”. Beggs is the son of a respected nursery school principal, and his uncle was the late Fred Crowe, a former UUP Mayor of Craigavon. At the time of the trial, Mr Crowe told the Portadown Times that his nephew was innocent. And Beggs has repeatedly tried and failed to have his conviction overturned at the Supreme Court. 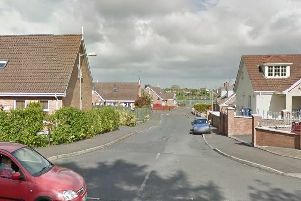 The principals at Seagoe Primary and Portadown College had previously described Beggs as “a quiet pupil who did not stand out in the crowd.” The family later moved to the Hillsborough area. Earlier this year Beggs had boiling water thrown over his face and hands in an apparent revenge attack in his cell, his alleged assailant was reported to have been transferred to Shotts Prison in North Lanarkshire.